As a child of the 1970s, I was fascinated with guys who kept their MLB careers going into the 2000s, making rosters year after year. Tim Raines (debut 1979) fielded his last fly ball in 2001. Mike Morgan (debut 1978) made his last relief appearance in 2002. Rickey Henderson (debut 1979) stole base #1406 in 2003. That about wrapped it up for active players...but not for players on cards. 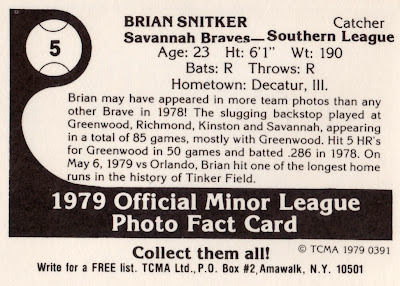 Brian Snitker never reached the big leagues as a catcher, but he's been with the Braves for more than 3 decades as a pro, coaching bullpens, pitchers, and teams. That's long enough to helm 9 different minor league teams and win manager of the year twice, South Atlantic League in 1997 and Carolina League in 2000. 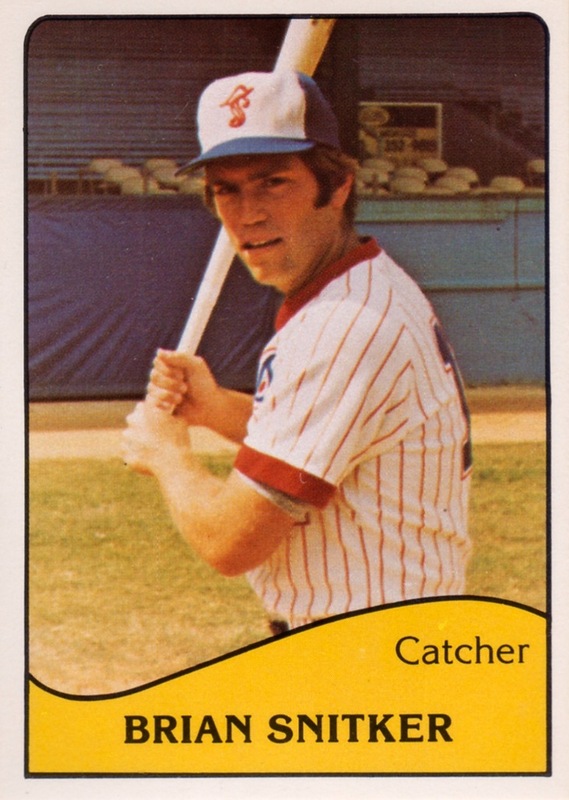 According to Beckett.com, he's even been on 29 different cards, a total not many guys from the 70s can match. Keith Olbermann occasionally posts cards of current managers saved from his days at TCMA--see A Hairstyle is Temporary, A Baseball Card is Forever and Minor League Cards, Playoff Edition--but I don't think he's shown any coaches. Consider this post some "equal time." 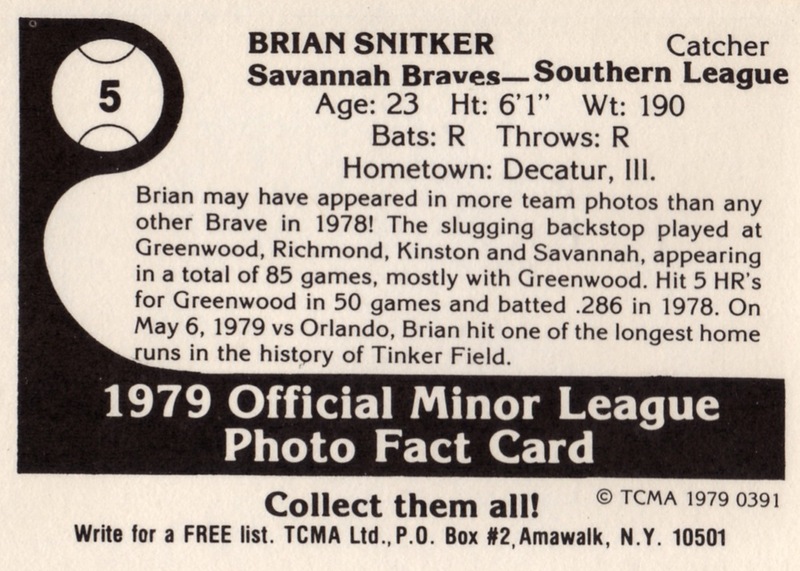 Interesting meta-comment on the card back about the number of team photos Snitker played for in 1978. Even more notable, he caught at four different levels that year, A ball, high-A, AA, and AAA. Imagine handling that many different pitchers! Anyone who can do that deserves a shot at managing. Value: Bought this for $2 at MinorLeagueSingles.com.